You've been meaning to get to Tokyo for a while, but you always think twice before booking that three-hour flight. Yes, all the rumours are true: Japan ain't cheap. In contrast to Southeast Asia where meals and a hotel room can be bought for the price of a pack of cigarettes, Tokyo intimidates with its triple-figure accommodation rates and wallet-defying food. But like all pricey cities, it's often a matter of knowing where to go and what to do that can save you hundreds. 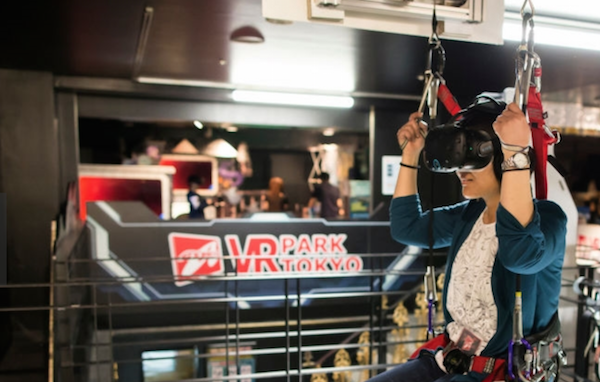 Tokyo has no shortage of shopping malls and is one of those few cities that suffers from an over-abundance of cool. In the main shopping districts of Ginza and Shibuya, women clutch Gucci bags more expensive than your year's rent and men sport Versace suits that could relieve you of your student debts. 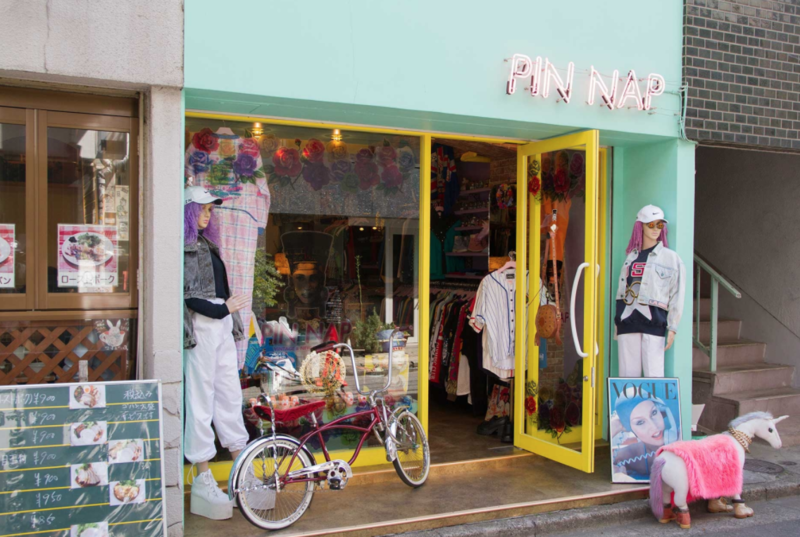 Drown out the evil voices and hop onto the Teio-Inokashira line from Shibuya station a couple stops to the now famous Shimokitazawa area, where thrift stores are overflowing with top quality second-hand clothing. 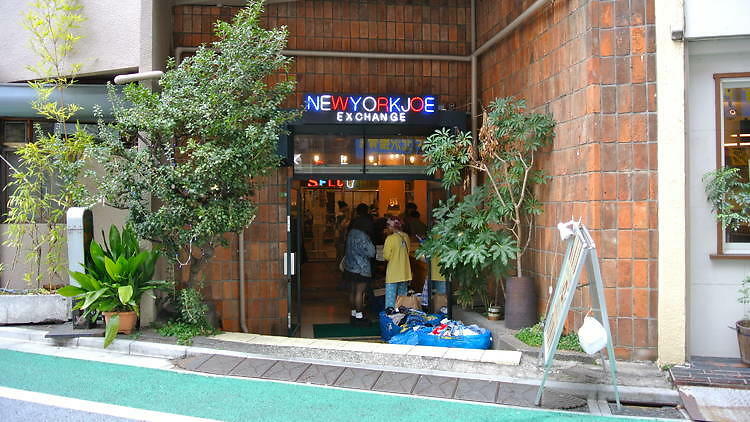 If you're going for that vintage '90s look, very popular in this part of the world, make your way to the Garage Department (for women; 2-25-8, Kitazawa, Setagaya-ku), New York Joe Exchange (3-26-4 Kitazawa, Setagaya-ku) or 2nd Street (multiple locations throughout the city). It’s not the cheapest thrifting in the world to be sure, but you could easily get a one-of-a-kind sweater for around 150RMB, which is cheap by Tokyo standards and will last you longer than that 100RMB H&M factory sweater. If you're in town for the weekend, check out one of the outdoor flea markets – these are often cheaper and can have items even more unique than thrift stores. Mottainai Flea Market is a popular one among locals, and alternates between Ikebukuro Station West Park and Akihabara UDX. Shinjuku Chuo Park flea market (behind the Metropolitan government building, where you can also get a view of Tokyo for free) has over 200 vendors, competing with the Yoyogi park and Shinagawa flea markets. Check online which will take place when you are there, as each mostly happens only one weekend per month. For a day trip to Mount Fuji, it's tempting to take the Shinkansen bullet train, but the truth is, riding the bullet train is awesome for about ten minutes before it starts to feel like any ol' train and, chances are, if you've taken the Maglev to Pudong International you've pretty much ridden the Shinkansen. Save yourself 7,000JPY and go for a highway express bus from Shinjuku to Kawaguchiko (1,750JPY). The journey only takes about an hour longer than the bullet train and offers views of the beautiful mountain forests around Fuji. 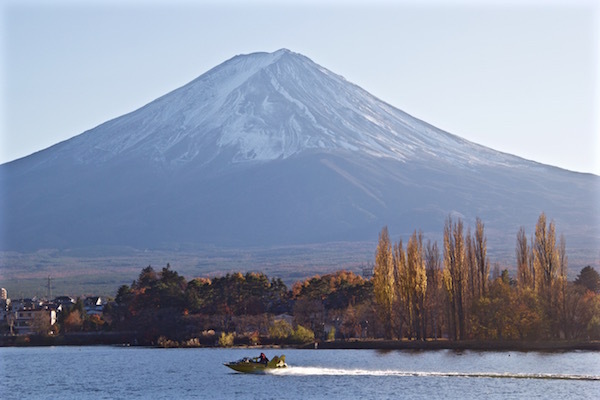 Plus the station is a ten-minute walk to the edge of beautiful Kawaguchiko Lake, where you can take a 20-minute pleasure boat for 900JPY and enjoy the best views of the famous volcano. 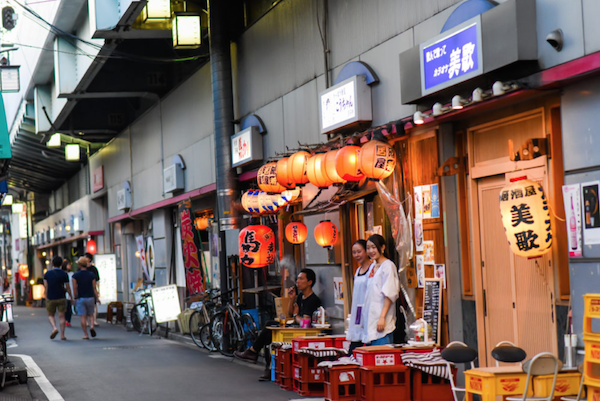 The Koenji-Asagaya-Ogikubo area is an example of a great neighbourhood that will give you easy access to Shinjuku station and the lesser-known areas to the north. Although Koenji has plenty of international establishments and underground music venues, it retains a quiet, local feel and is home to some of the city's sleekest youth. Although Golden Gai (1 Kabukicho, Shinjuku-ku) is the golden standard for small drinking establishments and a great place to meet other travellers, you can alternately head under the tracks between Shinbashi and Yurakucho Stations to witness the working men and women of the city getting their after-hours booze fill, with some above-decent izakaya on the side. The so-called 'Robot Restaurant' (B2, Shinjuku Robot Bldg, 1-7-1 Kabukicho, Shinjuku-ku) in Shinjuku has gotten a lot of press lately but truth be told, there are hardly any real robots and the performance is essentially a trendy tourist trap. If you still want to geek out, head to the Akihabara area and surround yourself with aspiring J-pop stars and their megafans at Dear Stage (Dempa Bldg, 3-10-9 Sotokanda, Chiyoda-ku). 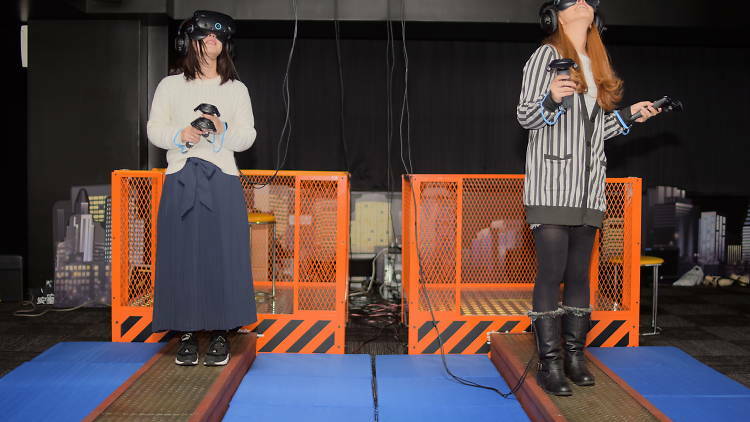 For a real taste of Japanese robotry, make your way to the brand-new VR Park Tokyo (4F, KN Shibuya Bldg 1, 13-11, Udagawacho, Shibuya-ku) in Shibuya that lets you play 15 Virtual Reality games for 90 minutes for 3,300JPY – about the same price for two drinks at the bigger clubs. Once you’re done, head to the old-fashioned arcade downstairs to play a couple rounds of Mario Kart. A lot of us go to Japan to have that meal we’ve always dreamed of, run by that famous sushi chef that has dedicated forty years to the practice of crafting the perfect sashimi. Unfortunately, in case you forgot, your broke self can't afford such nonsense. A good trick is to eat cheap Japanese fast food during your entire trip to make up for that one expensive meal – if you really need to have it. The good news is that Japanese fast food has quite high standards compared to most other places and can actually give you a window into how 'everyday' Japanese people eat. And, unlike other fast food chains, Japanese ones focus on one or two dishes that they can make well. When it comes to the big chains, there's Ichiran for ramen, Yoshinoya for rice and beef, Coco Ichibanya for rice curry and Hotto Motto for bento. 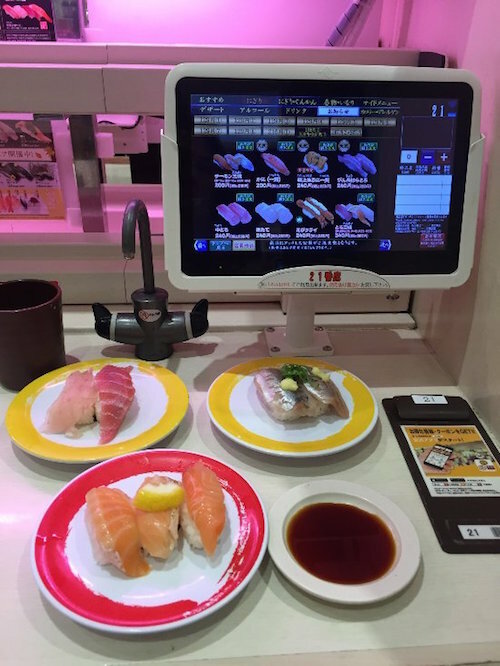 For sushi, a cool (albeit a bit touristy) experience is Genki Sushi Shibuya (1F, Leisure Plaza Bldg, 24-8 Udagawa-cho, Shibuya-ku), where you can order an unlimited amount of food from an iPad. The dishes you order will be brought to you directly via conveyor belts that encircle the entirety of the restaurant and will magically stop when they reach your table. Seven plates of sushi will cost around 1,000JPY and include salmon, sea urchin and squid. If you're absolutely starving, the all-you-can-eat Nabe restaurants are a sane choice – think Sichuan hotpot minus the mouth-numbing spice. Nabe-zo is a popular chain where you can pay 3,000JPY for a meal where you can order anything (or everything) on the menu, as long as you do so within 100 minutes. Stuff yourself with every type of meat and vegetable under the sun without burning your wallet.